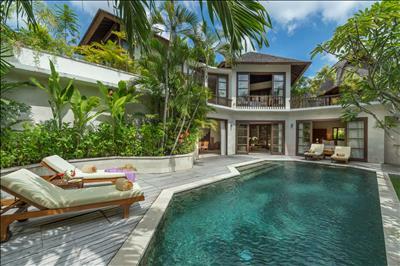 Our picture perfect Villa 1 is an oasis of paradise. 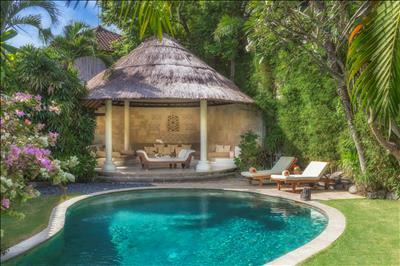 Step inside to glimpse the magic of Bali in this stunning 2-bedroom luxury villa with private pool. 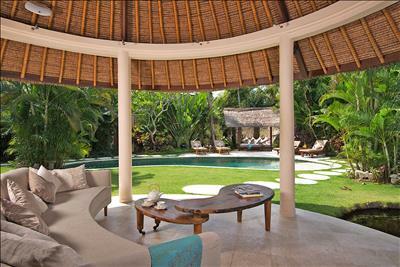 A gorgeous, open-sided, moon-shaped, thatched living pavilion is decorated with intricate carved walls and overlooks a large private pool and luxuriant tropical gardens. Ornate stone water features and picturesque lotus ponds soothe the senses and the soul. Two private, sun-filled, spacious bedroom pavilions have fabulous views of the pool and feature unique, exotic indoor outdoor bathrooms with deep terrazzo bathtubs. The large swimming pool is perfect for pool toys and games with ample space for sunbathing and soaking up the tropical rays. 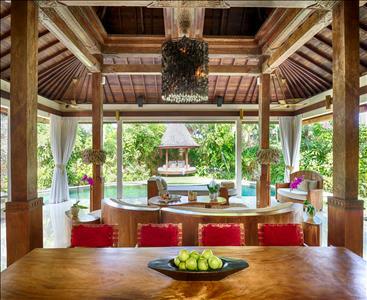 Guests in Villa 1 are attended to by Kubu’s team of dedicated staff to make every stay as perfect as possible. A whole host of in-villa experiences are just a phone call away; from poolside massages and beauty treatments to chef-prepared in-villa barbeques and dinner parties, while every guest in every villa enjoys the luxury of our renowned and often Instagrammed á la carte cooked breakfast, which can be taken in your residence or in The Oasis Restaurant & Bar. 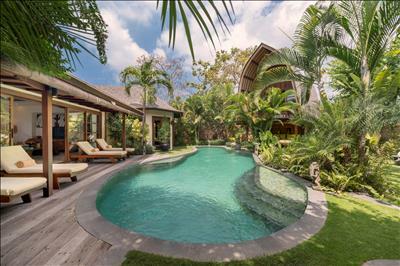 A discrete doorway in the garden allows this villa to connect to the 2-bedroom villa Villa 2 to create four bedrooms which then connects to Villa 14 for five bedrooms, if desired. The Jeffrey family had a great time at villa Kubu. YOU ROCK!!!!! 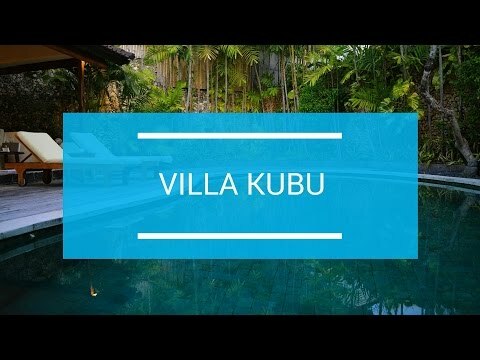 Awesome stay at Villa Kubu, Special thanks to Nandi who was so helpful. Villa 1 pool was AMAZING! Look forward to returning to this piece of paradise in the future.